The Fed doubled down on its dovish stance. What card will gold play now? The Committee seeks to foster maximum employment and price stability. In support of these goals, the Committee decided to maintain the target range for the federal funds rate at 2-1/4 to 2-1/2 percent. Information received since the Federal Open Market Committee met in January indicates that (…) growth of economic activity has slowed from its solid rate in the fourth quarter. (…) Recent indicators point to slower growth of household spending and business fixed investment in the first quarter. Apart from these changes, the statement was virtually kept the same as it was in January. So, it should not significantly affect the gold market. However, it was accompanied by the new details about the balance sheet normalization, and the dot plot. Let’s now analyze them. All these changes mean that the Fed will soften its quantitative tightening. Apparently, the US central bank took heed of all the complaints about the Fed draining liquidity. The party in the risky assets will, thus, go on, which may be bad news for the yellow metal. On the other hand, gold may appreciate in tandem with the stock market. Moreover, more dovish Fed and weaker upward pressure on the interest rates should support gold. The second biggest dovish surprise, next to the new Fed’s balance sheet policy, were the fresh Fed’s economic projections. The forecasts for GDP and inflation were slightly down, while that for the unemployment rate slightly up. But the real change was the dramatic shift in the dot plot. The median assessment of appropriate level of the federal funds rate was slashed from 2.9 to 2.4 percent in 2019, and from 3.1 to 2.6 percent in both 2020 and 2021. It means that now the Fed sees no hike this year and only one hike next year. It’s a really remarkable turn, as in just six months, the US central bank has gone from an outlook with interest rates in restrictive territory to a more neutral (some might even say accommodative) positioning. After such abrupt revisions, what kind of credibility does the Fed’s dot plot have left? What does it all mean for gold? Well, the Fed surprised investors on a dovish side. The markets made their moves. While the bond yields declined, the US dollar predictably plunged against both the euro and the Japanese yen, as the charts below show. So, the price of gold jumped. As one can see in the chart below, the yellow metal moved yesterday above $1,315. Chart 3: Gold prices from March 19 to March 21, 2019. More dovish Fed is a fundamental tailwind for the gold market. We have been repeating for a long time that the US monetary policy has reached its hawkish peak in 2018 and that this is why 2019 should not be as harsh to the precious metals as 2018 was. There is always a risk in repricing of the Fed’s interest rate path, but unless inflation significantly jumps, we consider it as low. Another risk is that the dovish Fed will support the stock market at the expense of the precious metals market. 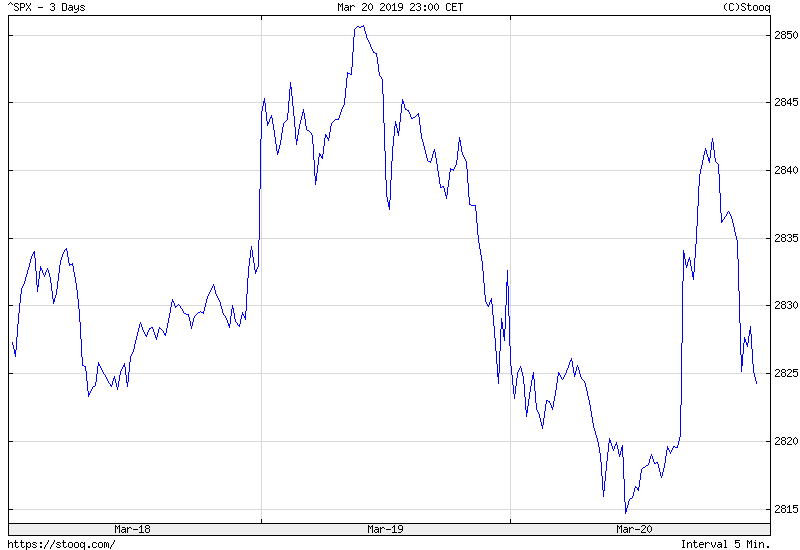 However, the reaction of the S&P 500 is far from euphoric, as the chart below clearly shows. 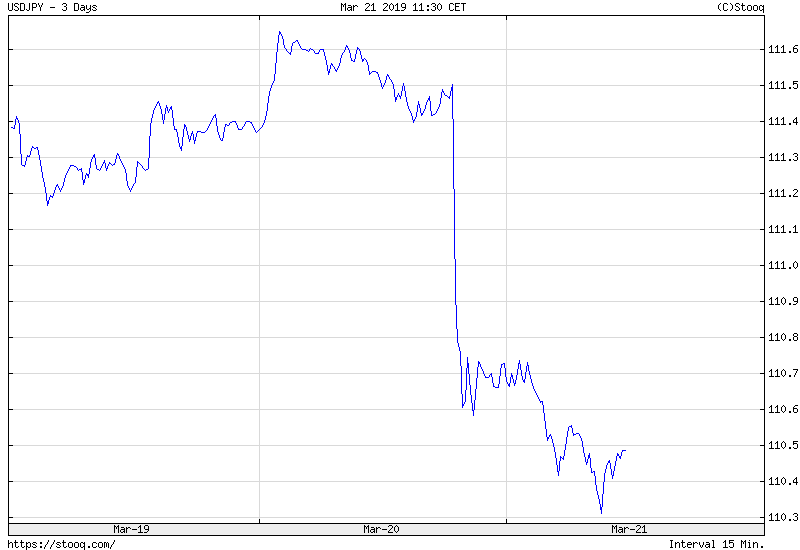 Chart 4: S&P 500 Index from March 18 to March 20, 2019. It may suggest that the Fed’s bold reaction frightened investors. After all, it might be the case that if the US central bank doubles down on a dovish side, when the economy seems solid, it must know something disturbing about the economy the mere mortal does not know. The conclusion is that appeal of holding gold should not decrease – and it may even increase thanks to the lower bond yields and weaker greenback.